A new puppy is one furry friend that has a nasty habit of rolling around in the newly cut grass, just when he comes back from being pampered at the dog groomers. 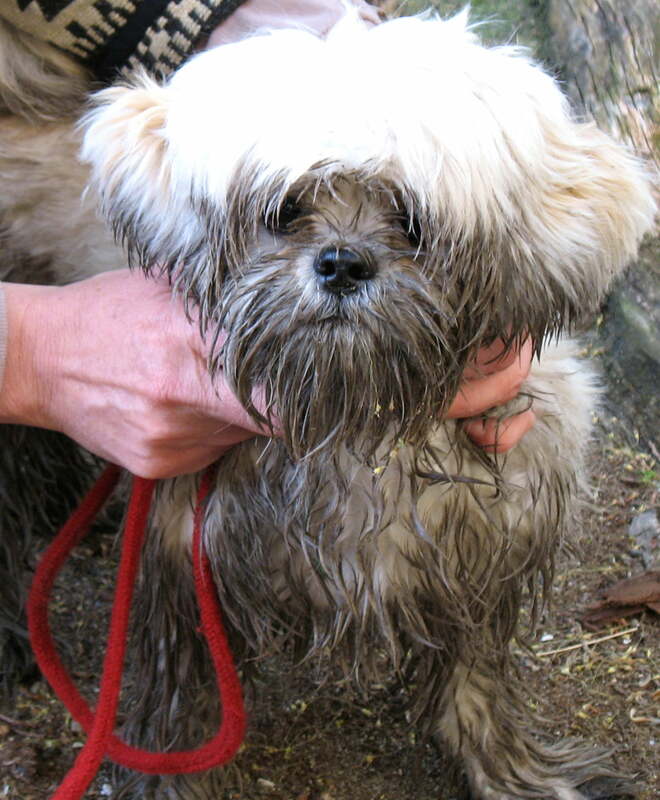 Adult dogs do the same, but they are more cunning – they just seem to know where to find the mud in a garden, they appear in front of you with their dog collar covered in mud and bits of twigs sticking out of their wagging tail. Whatever breed of dog you have in your home he is adorable (most of the time) and you love him whether he is clean or dirty. However, most dog owners would agree that they want their dog to look good all of the time, yet they cannot afford to keep sending them to a professional dog groomer. You can become a dog groomer within your own home however. The most common problem is muddy, matted up fur coats and dirty paws. You can not stop them altogether but you can avoid a build up with a regular brush and combing routine. There are also detangling solutions available to make life easier for you and your dog. Comb your dog’s hair gently with a medium toothed doggie comb to reduce the tangles and then brush afterwards. When choosing a dog brush, choose one that is good for the length of your dog’s coat. Finally, wipe their eyes with moist make up pads, one for each eye and if there is a noticeable discharge have it checked out with your local vet.